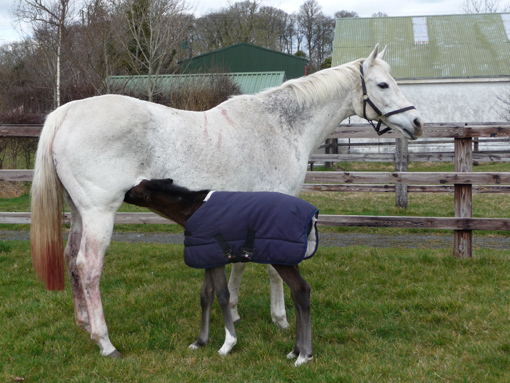 It has been a long, cold winter and Romandie and Third Dimension are determined to hold on to their foals a bit longer. 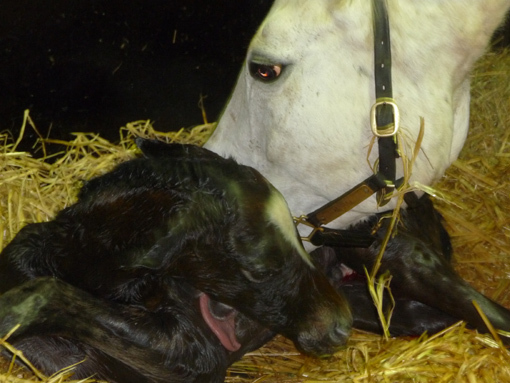 However, Miss Shaan could no longer do so and delivered her Oratorio filly last night at 23.20., after 368 days of gestation! 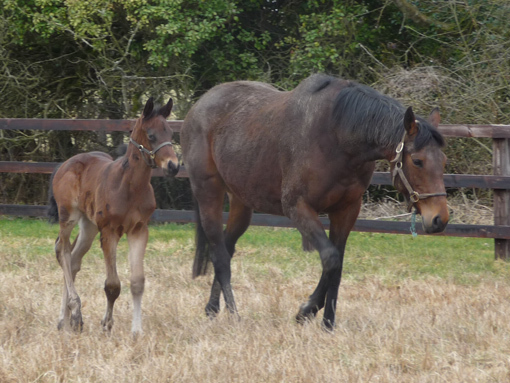 All went well, despite her advanced age (19 years), and mother and baby are doing fine and are enjoying a little sunshine in the paddock. Meanwhile, Miss Shaan\'s 2006 foal Damien, ran a great race today to finish 4th in a Listed Race at Doncaster after a 7 months layoff. Last night's images of the foal's quick progress from just being born to standing and sucking from its mother to spending time in the paddock today. 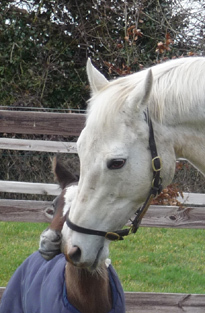 All four visiting mares have been covered, two by Dalakhani and two by Sea the Stars. 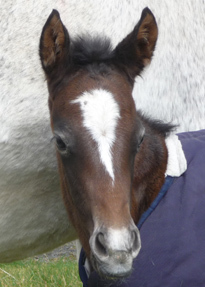 Distinctive Look has already been scanned in foal and we are keeping fingers crossed for the 3 others. Everyone including Amelia, the resident rodent patrol officer and the heavily in-foal mares and our visitors take a strong interest in the new arrival\'s first trip into the open. 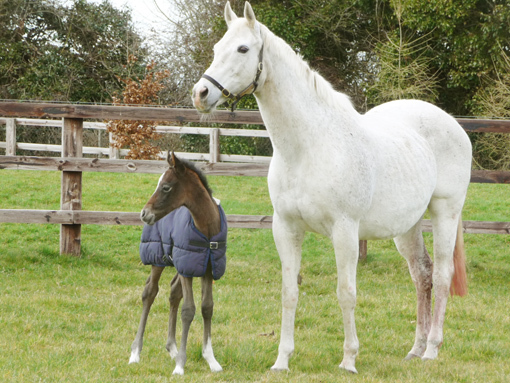 Meanwhile the Dylan Thomas colt foal out of Sogno Verde is growing rapidly and developing into a strong, correct colt.